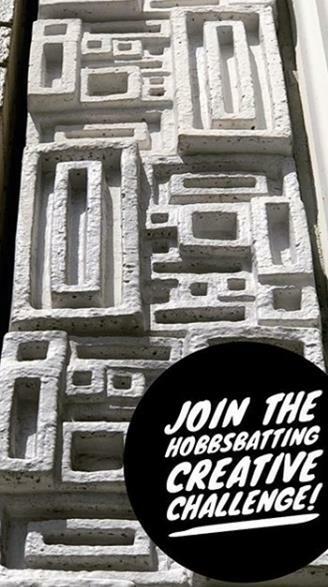 Hobbs posted about the challenge on their Instagram account. 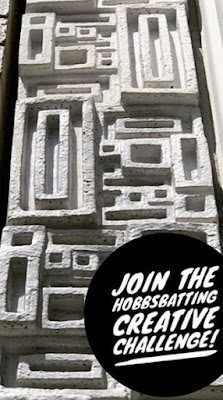 The challenge was to use the image below as inspiration for any type of craft, include any of their products in the creation of the entry, and post the entry on Instagram before September 1st. 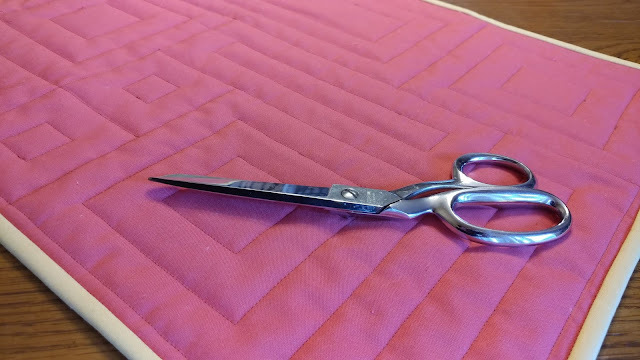 I had several ideas as I mulled over the challenge for a few days while working on some other secret sewing (to be revealed Tuesday!). My ideas ranged from log cabin blocks to weaving. 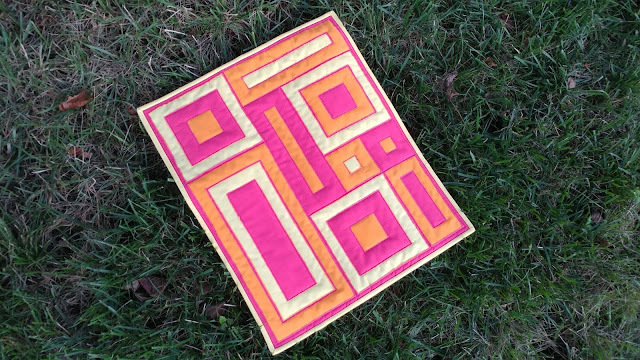 I finally decided to use reverse applique to make a bright colored mini quilt. 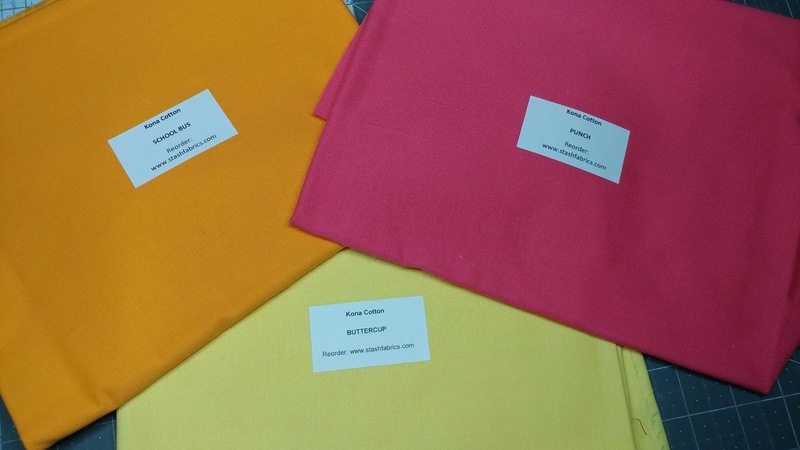 I chose three Kona fabrics that I had a half yard of each: School Bus, Punch, and Buttercup. 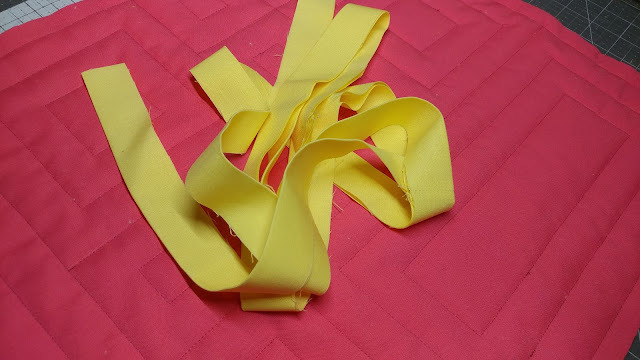 I purchased all three from Stash Fabrics, but Amazon has them too. I cut a fat quarter from each fabric, then found a pink batik fat quarter from my stash to use as the backing. 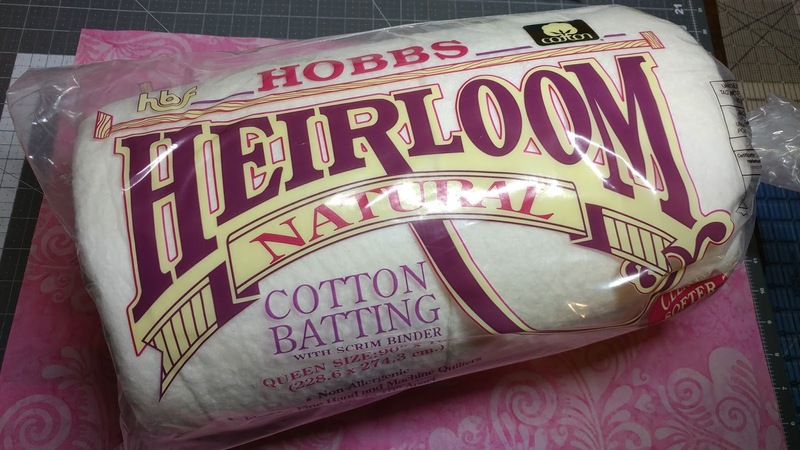 I have several different battings by Hobbs in my stash, but I decided to go with this Heirloom Natural Cotton one. I layered the backing, batting, and three Kona fabrics on top of each other, then pin basted the layers. 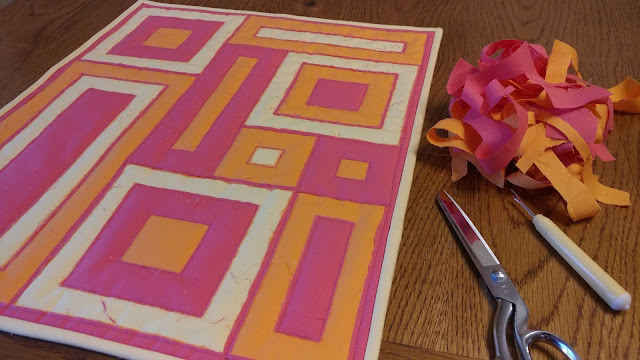 I used my Hera marker to mark a 15"x18" rectangle onto the sandwich, then further divide the space into squares and rectangles in multiples of 3". Inside each square or rectangle, I echoed the shape again leaving 1" from the outside of the first shape. 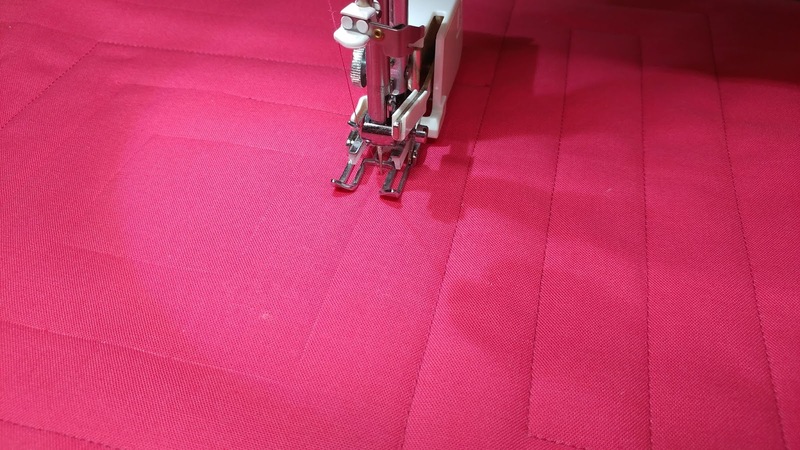 I used my walking foot and 50wt Aurifil in Medium Carmine Red #2455 to quilt on each of the marked lines. The thread was a bit darker than the Kona Punch fabric, but not enough to detract from the overall design. 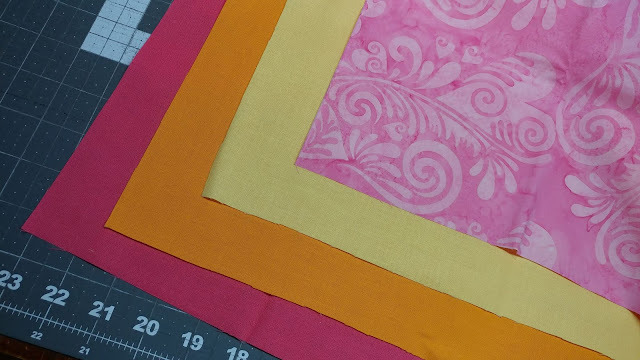 After quilting, I used the Kona Buttercup fabric to make 2 1/4" double fold binding. I trimmed up the quilt sandwich, cutting 1/2" away from the outside stitching lines, and machine stitched the binding on. The finished quilt measures 16" x 19". 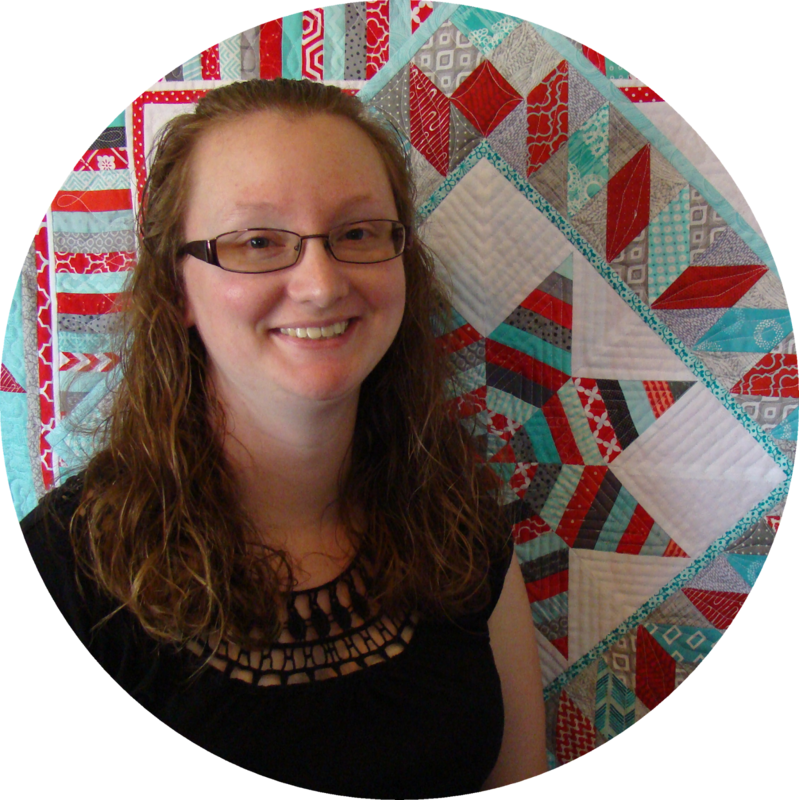 Technically, it was a finished quilt, but the real magic was still to come! 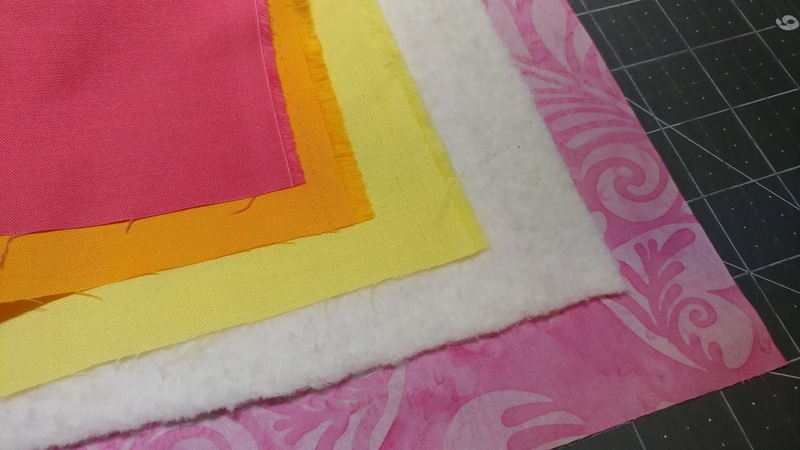 I used scissors to begin cutting away the layers in different sections of the quilt to reveal the colors beneath. 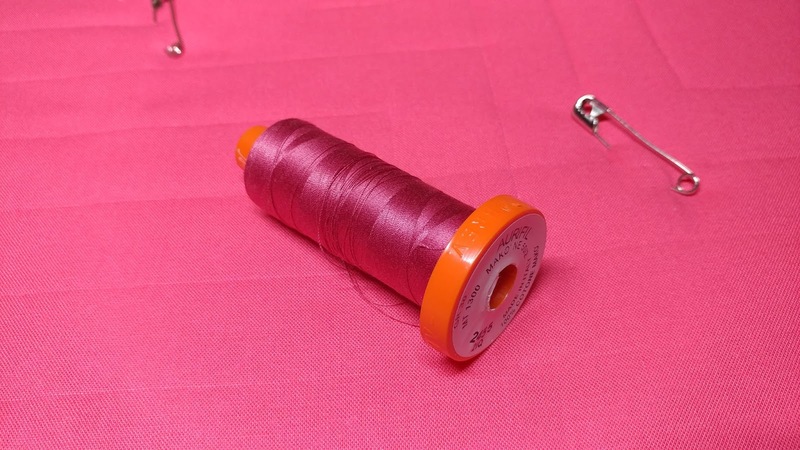 I used my seam ripper to initially put a hole in just one layer of fabric, then carefully cut very close to the stitch lines. 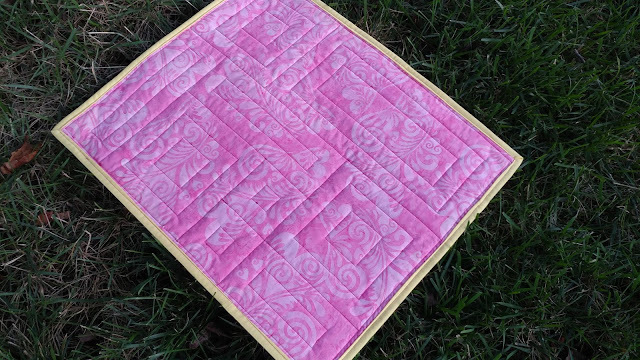 Within just a short time, the whole look of the quilt completely changed! 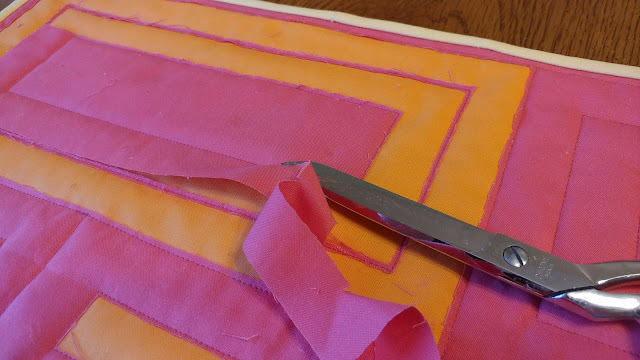 The fabrics are frayed where I cut with the scissors, but that's part of the technique. I just trimmed off the largest threads and left the rest. 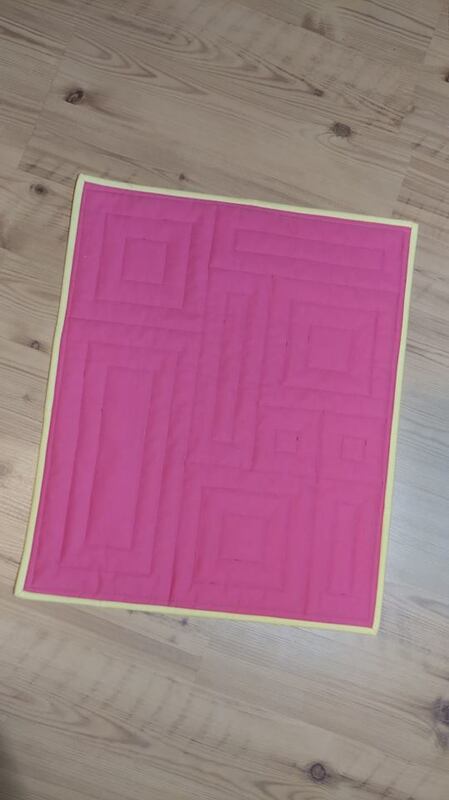 From the back, you can see all the quilting lines. I just backstitched when I needed to secure the threads, so you can definitely see those spots on the back. 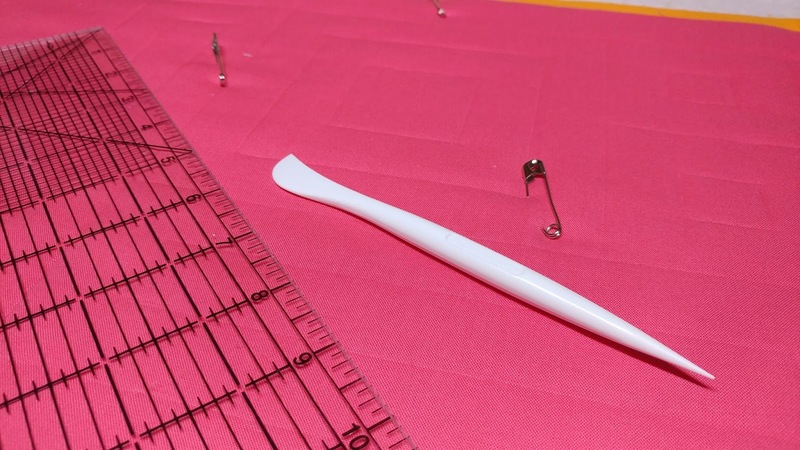 I wasn't in the mood to add a few hours of burying thread tails to do it the "right" way, so this way works for me! And hopefully a winner in the challenge! 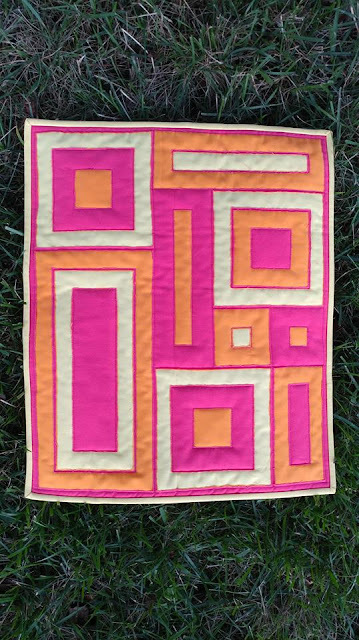 This is such a cool little quilt! I love all of the creative ways you use different techniques in your projects. 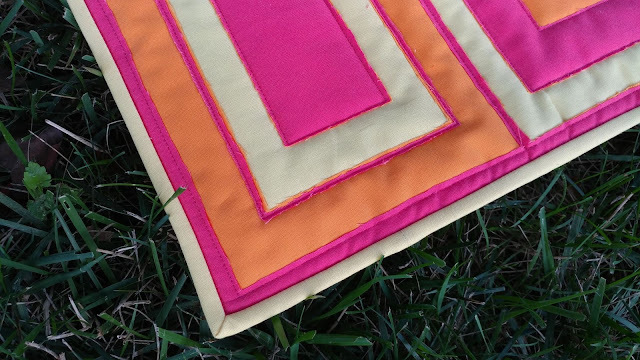 It's really fun how this leaves you with tiny lines of pink between the orange and yellow. 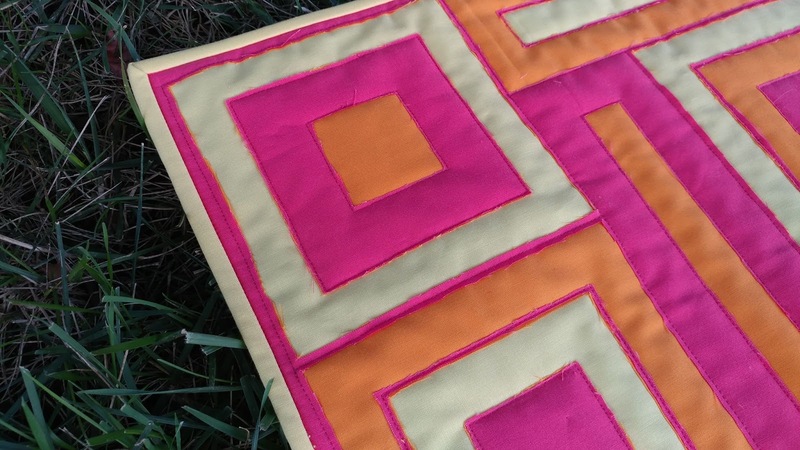 Great little quilt!!! I love the fabrics you chose and the pattern you created is so much fun!! Great little quilt and love how you fit it to the theme. It is a really fun way to do reverse applique! Good luck in the contest! Great technique. Thanks for sharing. I hope you win. Congratulations on your upcoming arrival. Fun, Laura!!! Super creative. I love the color combo. You're so blessed--baby days coming. I'll babysit when you need some time! So innovative Laura! Such fun. That turned out very cool! 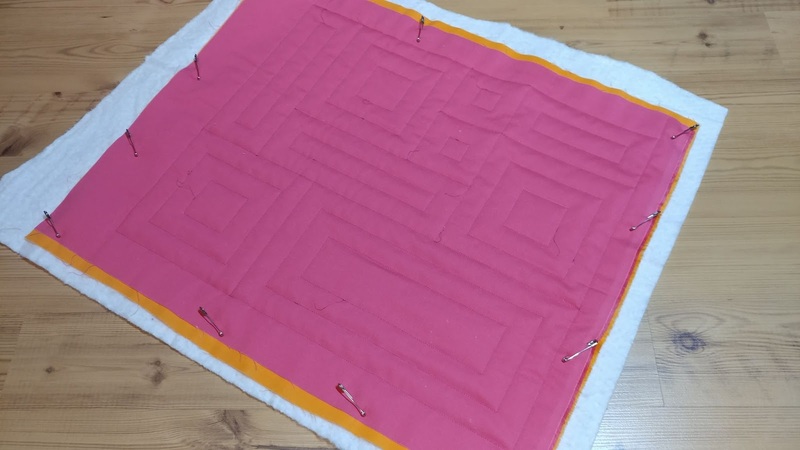 You are a quilting genius!!! 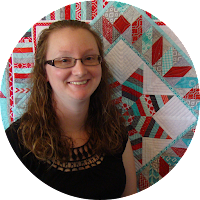 Congratulations on your beautiful quilt and baby’s soon arrival! I really like the inspired design and the appliqué technique. Orange and pinks together is one of my favorites. Will it be for the new baby? You just keep coming up with winners in my book! Great job. What an interesting technique! 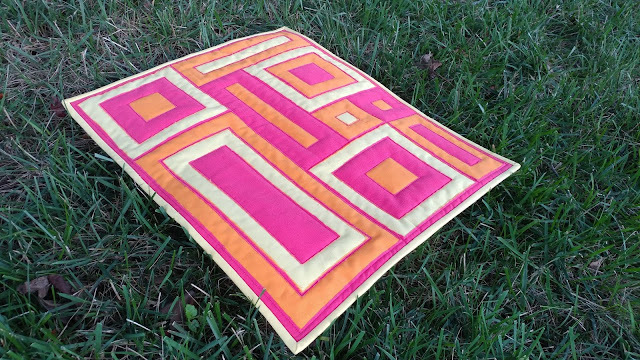 I really like the colors in this and the geometric-ness, if that makes sense. Really fun!